So you want to retrieve your test results? 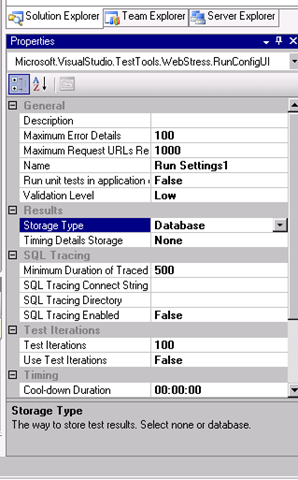 By default you do not have a database to store the results of you load test. (Why your not asked during installation to create one is beyond me). 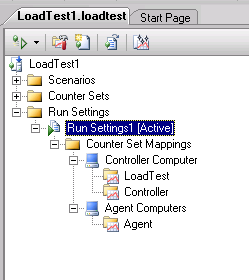 You need to run the SQLscript to create the LoadTest database. You will also need to set your connection string. 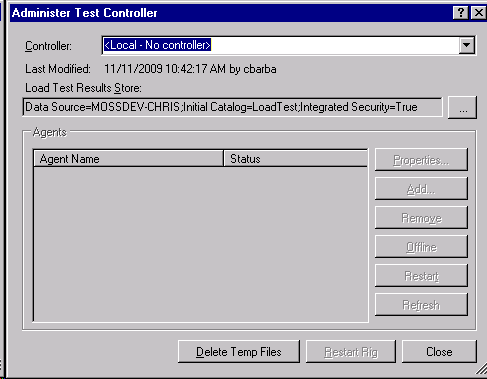 You need to go to Test –>Administer Test Controllers. The click the ellipse (…) to set your connection string. Now that you have a database and your connection string set,you can use the database storage type. This entry was posted in Visual Studio and tagged Connection string, Create read update and delete, Database, Integrated development environment, Load Testing, Microsoft Visual Studio, Microsoft Visual Studio 9.0, Programming, Visual Studio. Bookmark the permalink.